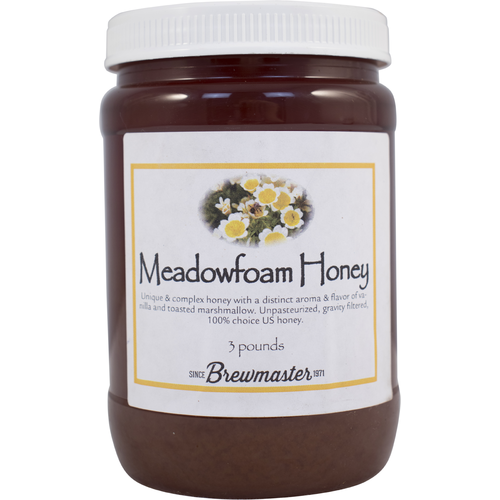 Meadowfoam Honey - 3 lbs. A unique raw honey with a distinctive marshmallow flavor. Meadowfoam honey is made by bees from the meadowfoam flower. It has a distinctive marshmallow and vanilla flavor. This unique raw honey is perfect for making meads, or adding to beer and other beverages. Produced in the USA, raw and unfiltered.